St. Oswald’s is a Church of England Aided school situated in the historic City of Durham, near the University. 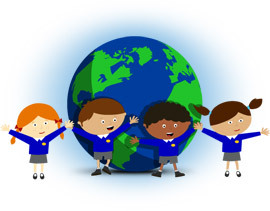 We provide quality education for children aged 3-11 years and aim for high standards of performance and behaviour. We recognise the right of each child to develop a full range of learning skills irrespective of gender, race or physical ability. As a Church of England school, we aim to reflect the teaching of the Christian faith in all aspects of school life. Our Voluntary Aided status enables us to strengthen and maintain our Christian ethos. We aim to enable each child to develop their full and individual potential in a caring Christian environment that bonds the home, school and community together. Welcome to St Oswald’s Primary & Nursery School. I would like to extend a warm welcome to you all and hope that your association with the school is a long and happy one. St Oswald’s is a Church of England school and has strong links with St Oswald’s church. We have a caring ethos founded on Christian values where every member of our school is valued as an individual, contributing to the happy, caring Christian environment which we strive to create. We encourage children to develop as individuals by promoting independence, care and respect for others. The school has established a tradition of achieving high standards within a caring and supportive environment where all children are encouraged to do their best. We hope to instil in our children a love of learning by offering a broad, balanced, and creative curriculum set within an enriching and stimulating learning environment. We embrace our role within the local community and the importance of developing links between home and school. We believe in working with parents as partners. I hope you find the information on this website useful. Please do not hesitate to contact the school office for any other information you may need.